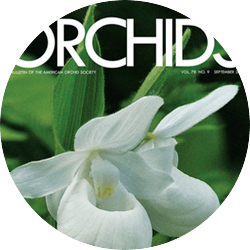 In November, the American Orchid Society had the pleasure of honoring several special people who have contributed unbelievable amounts of knowledge, efforts and dedication to the orchid world and the AOS. 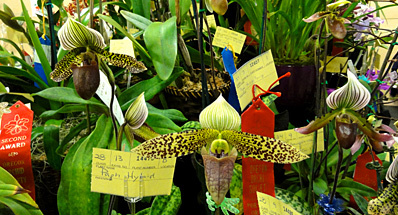 The highest honor bestowed upon an individual, the AOS Gold Medal, was given to Harold Koopowitz for his dedication and efforts which includes work in conservation biology, hybridizing, publishing books including two on slipper orchids, serving as editor of the Orchid Digest, and an AOS judge. Jose Izquierdo and Aileen Garrison were awarded the AOS Silver Medal given in recognition of their outstanding service to the AOS for their tireless work to support the AOS Judging Awards System. The title of AOS Fellow, in recognition of outstanding contributions to the scientific, horticultural or education advancement of the Orchidacea, was bestowed upon Leon Glicenstein for his work in conservation, education and hybridizing and to Leonid Averyanov for his work on the orchids of Vietnam. 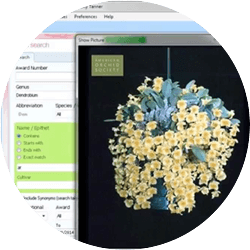 Two awards for excellence in hybridizing were given. 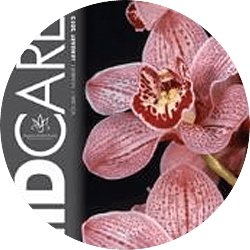 One to past president of the American Orchid Society, Milton Carpenter for his work with the Oncidiinae and efforts to develop warmth-tolerant cymbidiums, and to Gene Crocker of Carter and Holmes for his efforts in developing art-shade cattleyas. 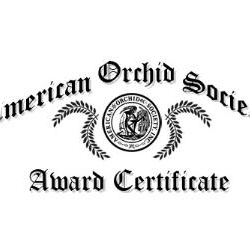 The Orchid Society of Western Pennsylvania was given the Distinguished Affiliated Societies Award for their volunteer commitment to Phipps Conservatory and Botanical garden. They have been volunteering for decades. 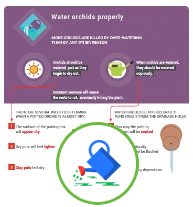 In 2011, they signed a memorandum of understanding with Phipps to act as expert consultants in advising the Phipps on their orchid collection. They are helping to establish a historic slipper orchid collection named in honor of Barbara Tisherman for her commitment to her society and support of slipper orchids. They have surveyed slipper experts around the world, established a priority list for the collection, and are now looking for gifts to the collection. 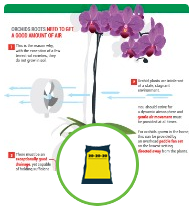 Orchids such as the wonderful Paphiopedilum Winston Churchill and F.C. Puddle will be part of this historic collection. The Trustees are pleased to honor the society for their dedication and for the example they have set for others of us, in our local affiliated societies, to consider how we can interact with our communities. 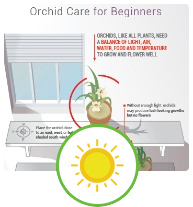 As one of the perks of being President of the American Orchid Society, I am allowed to give the Presidential Award to someone whom I think has made an outstanding contribution to the AOS. It was very easy to choose to give this award to Greg Filter, the chair of the AOS IT committee. Greg has exhibited dedication above and beyond what anyone could expect of a volunteer. The President’s Award was given to Greg for his unstinting commitment and dedication to volunteerism in overseeing and developing the IT needs of the AOS.